339-345 Van Brunt Street, north of the N.E. corner of Wolcott Street. No. 345, is the peaked roof frame structure, at the corner. Also shown is Nos. 88-94 Wolcott Street (right), east of the N.E. 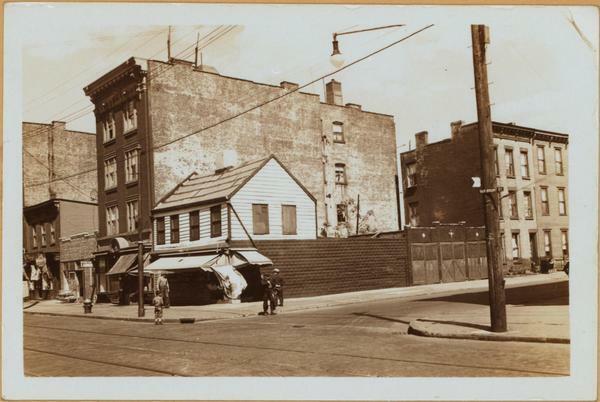 corner of Van Brunt Street, showing at the extreme right, No. 88.